At SlotsJungle, we use an affiliate program called Affactive, which is used on many gambling sites. We use a safe and secure platform for online gaming houses, using RealTime Gaming, Rival, and NuWorks powered software. We also accept US and French players. SlotsJungle Casino offers the Affactive casino program, as do our other online halls. All of our users can download the platform on Windows computers, and some can be played with the no-download instant version online. All of the software used is safe and secure, offering users peace of mind when deciding whether or not to join. The platform offers great rates and options for all of our subsidiaries and users. With the Affactive casino program, affiliates get a 30% to 45% revenue share in commissions, as well as optional CPA upon request and 8% sub-affiliate commissions. We offer associates a broad range of payment options, including Bank Wire, NETeller, Moneybookers, Webmoney, and QuickTender. As a bonus, for each $1000 in commissions that is earned with the Affactive casino program, you will get an extra $50 for your efforts. You may use the program in English, French, German, Italian, Portuguese, and Spanish. The only countries we exclude are Israel, Jordan, Romania, and Turkey. Our available game types are all mobile and on-site casinos. All of the platforms used are licensed and regulated in Curacao, Netherlands Antilles. 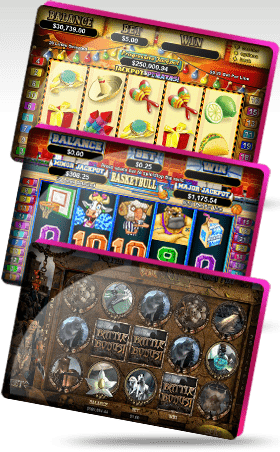 SlotsJungle features seven online gaming sites using Affactive, with the newest being Jackpot Grand, powered by RTG software. Our Gold Sponsor program offers a quick and easy way to get started with step-by-step instructions for generating tracking and getting your first links and banners. When you login as a user, you will find the latest news about any Affactive platform updates. In the Marketing Tools section, members can get banners, flash banners, links, and even screenshots. The Reports tab shows instant statistics of the current month for all money earned. Members will be assigned a manager to ask for help in case of any landing page issues. Just email the manager to quickly consult and fix any issues.